I am often asked about what makes a successful project, so I have put together these 5 fundamentals, which are, in my opinion, the most important aspects to managing business projects. I can’t guarantee your project will be a success, but I can definitely guarantee it won;t be if you don’t have these basics in place. It is imperative that the overall objective is defined (and agreed!) and the scope is defined. Think of scope as a bit of string that encompasses all of the areas the project will include. If it is outside the circle of string it is out of scope and should not be included within the project unless agreed by all (see point 2). “Scope creep” is a problem that we have all face at some stage, but this is much harder if the initial scope was not defined clearly. Who is accountable for the project? Any project, no matter how small, should be clear on the governance arrangements. This should set out who is responsible for various aspects of the project, who is the project sponsor and who is responsible for ensuring the benefits of the project are realised. Who is going to be touched by the project and who can influence its outcome? These are your stakeholders and you need to ensure you engage with them appropriately. Provide the right information to the right people at the right time. You can’t manage your stakeholders by blanket email updates. Some will need closer management than others so define who they are, what their interest in the project is and their power in the organisation. Who is going to deliver the project, how much will it cost and how long will it take? 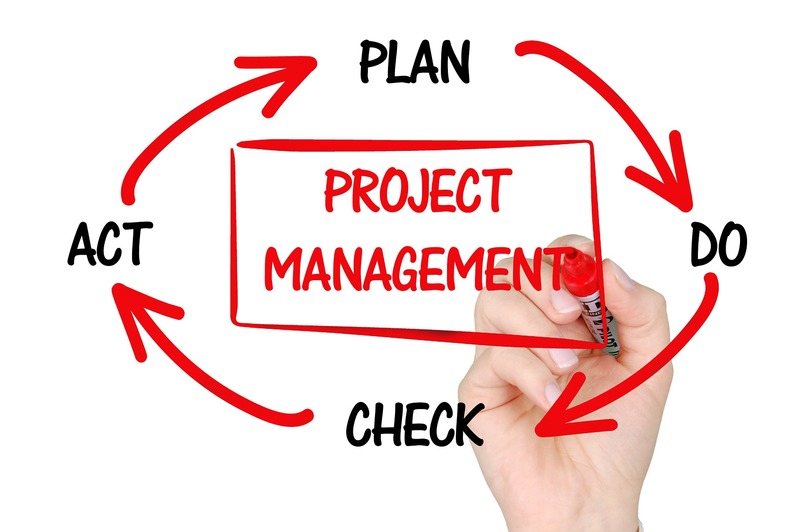 This is the bit that is concerned with what most lay people would state as project management; managing the project plan, assigning resources and estimating how long it will take. A project manager who spends all his time in Microsoft Project is not managing the project and is likely to come unstuck very quickly! It is important, don’t get me wrong, but it is only part of the story. As a professional ‘change manager’ this is what I consider to be the most important part of nearly all projects. By definition a project is something that is not part of ‘business as usual’ and is nearly always designed to achieve a degree of change. This could be a change in process, a new building or a new system. Whatever the change is the transition from the current state to the new state provided by the project is essential. This involves understanding what the impact of change will be on the people in the organisation affected by the change and putting in place appropriate interventions to ensure this is managed smoothly and quickly. How does this fit with your view of project management? Let me know your feedback! If you like this article and would like more information, then sign up to my monthly newsletter to receive project management advice, business improvement tips and product information.